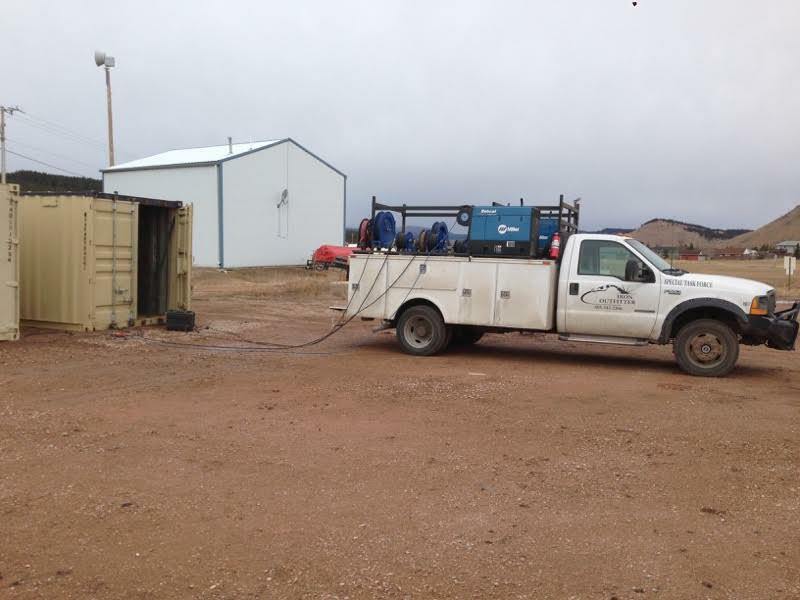 Iron Outfitter operates a fleet of portable welding and fabrication equipment to support all of our customers onsite needs. In addition to basic mill-rite services the portable fleet provides industrial coating and painting services to its customers. This service also includes portable pressure washing, sand blasting, and manual metal prep methods. With one call all of your portable industrial service needs will be satisfied. 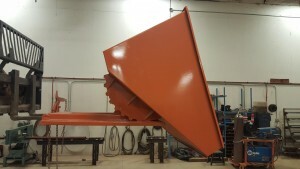 The Tip Bins we produce are top of the line when it comes to quality and strength. The ½” rocker plates with 1 ½” solid round stop will stand up to the shock of dumping heavy loads.